There’s something truly magical about this time of year. Beautiful colours are all around, trees are still clinging onto the last of their golden leaves, we get bright, sunny days filled with Autumnal sunshine and we have the festive season to plan and look forward to. But with gorgeous Autumnal days and dark, starry nights comes the inevitable, coughs, colds, sneezes and sickness bugs…and if you have kids at home they can often spread like wildfire! When we get ill, we don’t often get the luxury of staying in bed, having a cold flannel pressed against our foreheads with infinite bowls of chicken soup brought to the bedside. We have to get up, slap on the best eye cream for dark circles and pretty much get on with it. However, even if you have a busy life, there are still ways you can administer self-care and hopefully speed the healing process on a little bit. It’ll make the daily struggle a little easier too. 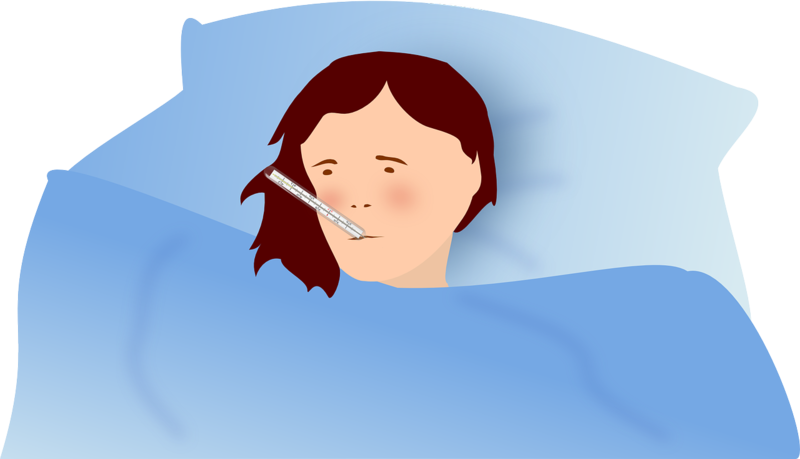 Read on for 4 ways to take care of yourself when you’re ill. When you have a little energy, gather all the things you’re going to need in once place. This will make things so much easier for you, especially when your energy levels start to drop again. Line up your prescriptions, painkillers, the laptop, a good book, your phone and water, tissues, TV remote, hot water bottle, even a sick bowl – you get the idea. Make yourself a nest of comfy pillows, duvets and blankets and get some loose, comfortable clothing on. This is your zone so make the most of it before the kids join you. Sometimes, it just might get too much so, don’t be afraid to ask for help. Whether it’s a family member, an older child, your partner or a good friend, let them play doctor/nurse for a while. That could mean trips to the pharmacy, helping you change your clothes or your bed. They could even cook dinner for you if you’re up to eating. Sometimes, just a friendly face and someone to chat with can take your mind of how poorly you’re feeling. It’s important to keep yourself hydrated when you’re sick. Because you’re loosing all your vital nutrients and body salts. Sip slowly and often if you have nausea and/or diarrhoea, if it’s the flu, add some hot honey and lemon to your mug. Try sucking on ice cubes or even an ice lolly.